Our first ever cookbook has been in the works for a while now and we are pleased to announce that it is now available! And it's only $15! This cookbook is truly a labour of love and features recipes provided by our very own Russell Lions, their spouses and members of our community. This 86-page volume is chock full of great recipes including appetizers & beverages, soups & salads, vegetables & side dishes, main dishes, breads, loaves & muffins, cocktails, bars & candy and deserts. We've also included a 'this & that' section! 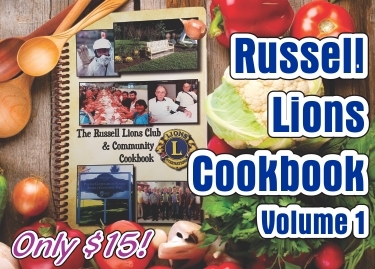 Get your copy of the Russell Lions & Community Cookbook while they last. 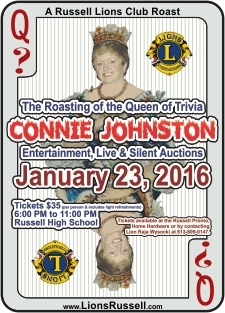 We have a limited number of copies so contact Lion Janice at 613-850-9879 or ask any Russell Lion to get your copy before they run out! We plucked these gems from page 41 of the cookbook. 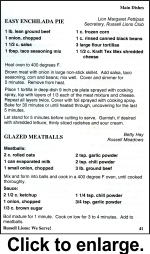 This page features two cool recipes that are sure to please. 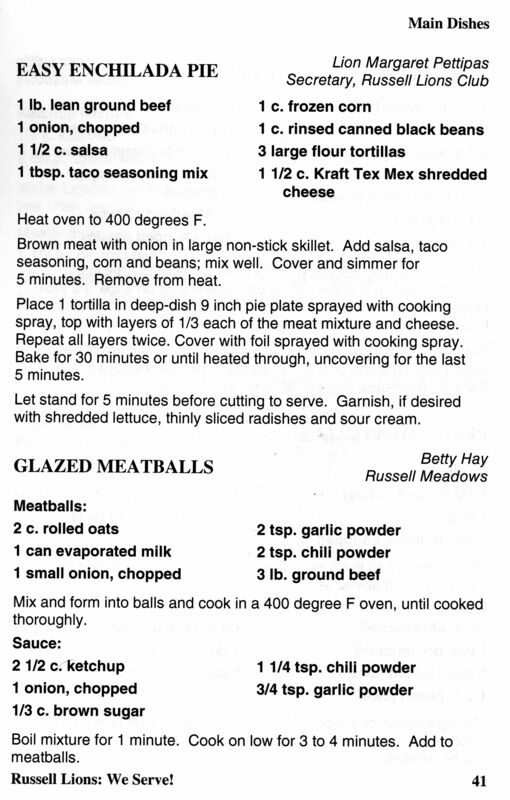 The first is an Easy Enchilada Pie submitted by our very own Lion Magaret Pettipas and the second is Betty Hay's Glazed Meatball recipe. 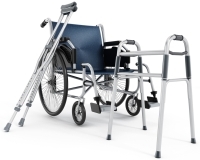 To view them, simply click on the image to enlarge.